It’s late on a Thursday morning and sunlight streams through the windows of Kiana Underwood’s floral design studio in San Francisco’s Potrero Hill neighborhood. The light bounces off the white walls and long wooden counters that are often covered with fresh flowers. Today they are empty, save for a single arrangement. Underwood herself wouldn’t have guessed that she’d end up here. When she was younger, she dreamed of being a diplomat and seeing the world. As the classical strains of Debussy play softly in the background, Underwood puts the finishing touches on the arrangement, which includes roses and fuchsias from her garden. 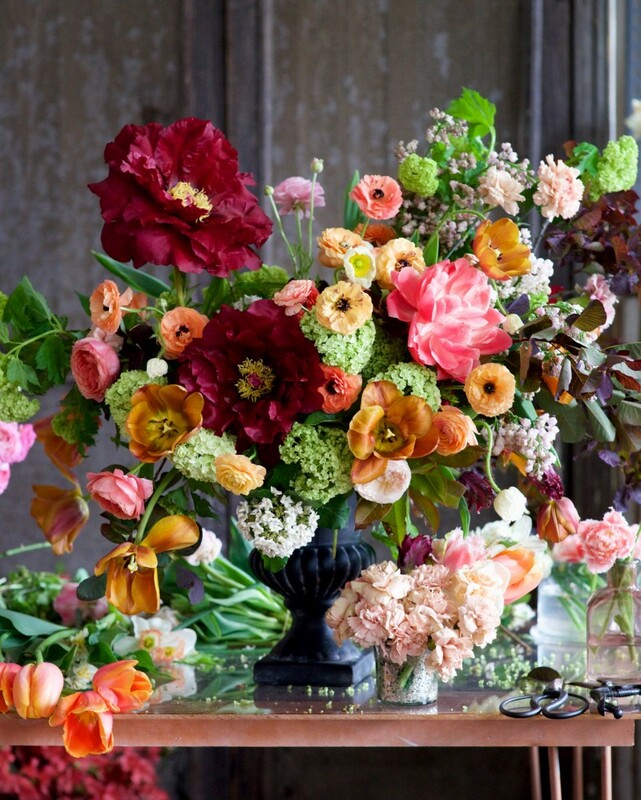 With her quiet, unassuming manner, you wouldn’t guess that in the five years since she founded her business, Tulipina, Underwood has become one of the most sought-after floral designers in the US. She specializes in high-end weddings, leads sold-out workshops, and has a book in progress. It was later, after having a family, that she decided to follow a creative passion — but with no background in the field, she had to figure out how to grow her business on her own. Before placing her arrangement in the window for passersby to admire, Underwood pulls up a chair and shares some of her secrets of her late-blooming floral career. Underwood spent her early years in Iran, where some of her favorite memories are of her grandfather’s flower garden. When she was 15, she immigrated with her family to the United States and settled in San Francisco. Becoming a diplomat someday seemed like a natural fit. Underwood loved languages — she speaks Farsi, English, Italian and Japanese — and was passionate about different peoples and cultures. “The outside world was always very interesting to me,” she says. She left behind contacts and proximity to global institutions and organizations. She calls this decision her “biggest mistake” career-wise. She liked the idea of working for women’s rights and of making the world a better place. After college in Santa Barbara, Underwood earned a graduate degree from Johns Hopkins School of Advanced International Studies. But instead of staying in DC and pursuing an international career, Underwood returned to the Bay Area to be near her mother. 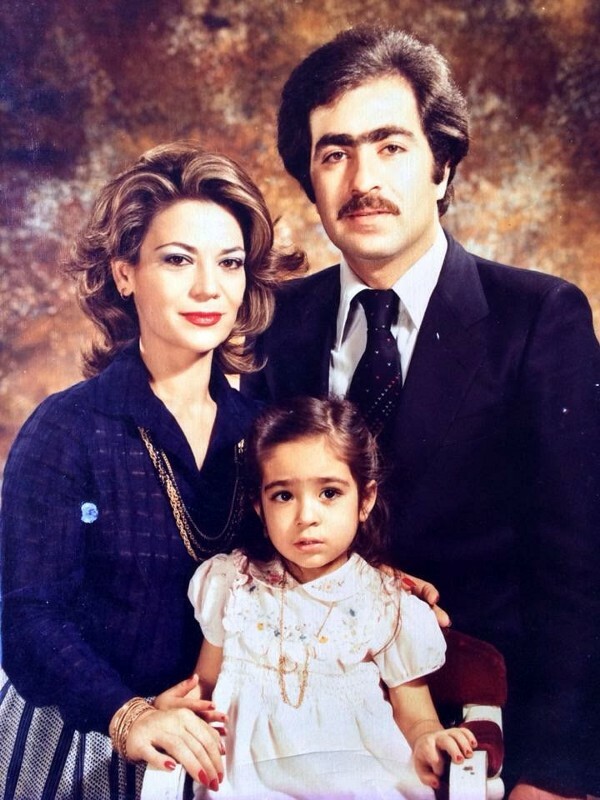 The desire to make her mom happy was “a cultural thing”—family is one of the cornerstones of Persian culture. Underwood and her mother were very close, and she felt it was her duty to live nearby and not across the country or halfway around the world. “I felt guilt, obligation and, of course, love,” she says. Back in the Bay Area, Underwood married her college sweetheart, Nate, and landed a position as a research fellow at a prestigious think tank, Stanford University’s Hoover Institution. Work at the think tank was uninspiring and she realized early on it wasn’t a place where she could pursue her passion. Instead of being with her peers, Underwood was surrounded by almost-retired professors. She lasted two years. She left the Hoover Institution in 2003, after becoming pregnant with her first child. Baby number two and baby number three quickly followed. Underwood spent the next eight years as a full-time mom. It was gratifying, but she always intended to return to the workforce. When her youngest was four, Underwood started thinking about what that something else might be. After being out of the job market for so long, she knew she would have to practically start over. With three kids, a husband and a mortgage, pursuing the nomadic lifestyle of a diplomat was out of the question. And her youthful dream of changing the world now seemed idealistic and not so easy to achieve. It was her husband, Nate, who had the idea that she could start her own floral design business. Underwood clearly had a way with flowers. She had loved them since the days spent in her grandfather’s garden, and guests would often admire the arrangements in her home and ask if she’d be willing to create something for their party or event. But it seemed to her like there was so much competition and that everywhere she looked there was a corner florist. The start-up costs were minimal, her husband pointed out. All they needed was a website and photos of her work. “We have nothing to lose,” he told her. In 2011, they launched the Tulipina website. Instagram in particular has played a large role in her international following. After a Russian journalist discovered and featured her work, people wrote in asking for design lessons. Underwood started doing workshops, which have taken her to Russia, Indonesia, and Mexico, and now account for about half of her business. Having a mentor or guide in any new effort can be extremely helpful — but sometimes they’re just not there. When she was first starting out, Underwood reached out to floral designers who inspired her, and no one wrote her back. She got the feeling that since she was self-taught and hadn’t come up through the floral design world, she wasn’t taken seriously. Undaunted, she kept at her work and made her own name. As with many creative endeavors, to work as a floral artist you need to be comfortable with a lot of alone time. There are many people that Underwood enjoys working with — her husband runs the business side of things; she hires freelancers to help with larger projects; students attend her workshops, and brides hire her to create their bouquets — but her favorite part of her job is the quiet time when the only interaction she has is with flowers. “I love to put on my music and just work,” she says. Emily Brady once scratched her eye on a bird of paradise flower.